To make sure you get the best deal we'll show you great prices from all of our drivers, including Florea & Co Van Services, if they're available on the day of your move. Have a question for Florea & Co Van Services? No problem, send them a message and they'll email you back as soon as possible. If you have a more general question you might find it answered in the FAQ, or you always contact one of our brilliant customer service team. * Florea & Co Van Services won't be able to see your email address. Really helpful and professional. Very happy. My original driver was delayed so my van turned up over an hour late. However my replacement driver, Gregory, was excellent. I was very pleased with him. Very smooth and professional. We thought that it will take more than we booked and it was even faster than that. Packing/unpacking took literally seconds! Highly recommended! Firstly I made sure to book the same driver to and from an event in order that on the way back they were aware of the job, unfortunately our driver changed several times including on the day of pick up even after I had spoken to the driver in the late morning to make sure he knew where he was coming to pick up. meaning I had to explain twice to different drivers the pick up point. The Driver could not find the loading bay despite the clear signage and me talking to him and asking him to come IN to the loading bay about 2 or 3 times. When he finally arrived he said he had been to the loading bay first but he had not come inside or spoken to the security guard there to let him in so we had not been able to find him. I had asked for 2 people to help load the van but one guy clearly just could not be bothered to help and so was picking up the lightest things and one bag at a time and walking really slowly and as we were paying for 2 hours we told him we would not pay more because of him time wasting and not helping load properly... We managed to load the van but had to direct them and tell them where to put everything as they were not good at loading and tried to throw the last few things in on their sides and at angles where they would have fallen over in transit. When we arrived at the destination the driver complained that there were 2 flights of stairs not one as I had requested but the stair case is not long but it is split and only the height of one staircase that goes round the corner. There is also a lift which I told them they could use too if the stairs were too much for them and the driver astonished me by telling me " It's alright for you, you only have one job and I have been working since 6am" Firstly I think it's incredibly rude he does not know my situation and to comment on this is out of line, secondly I paid for a service and if they are not able to carry out a service they should not agree to take the job. I am not responsible for the working hours of your movers! when we were finished unloading and I think he sensed that I was incredibly unhappy he tried to make amends by telling me that I am beautiful, and that I have a great team! I do have a great team and thank god they stepped in and helped by carrying the lions share of all the loading. This was an awful experience after a long day at an event, we did not receive the service we paid for and I will not use your service again as a cause of it! Firstly, I arrived half an hour before the time requested, and secondly, when I got there I found that there were around five people and a fork lift van already there. I climbed into the van and arranged the goods properly while my helper brought things to the van. I went to the destination where I found there was no car park and parking had not been arranged. I was asked to park over double yellow lines and run the risk of a £130 fine! Which I did. We were asked to carry goods to the second floor and not the first. I have supplied pictures of the flights of stairs we were requested to climb. I therefore made the client aware that there would be an additional £12 charge for this, which she did not pay. I really do not believe that I could have done anything more with this booking. However, I am just a normal man, not a superman who is able to carry enormous loads alone. I always carry straps and blankets as standard and can evidence this. For me the client is my first consideration and I always have respect for him/her, but I feel this customer is running away because she did not want to pass that two-hour time period and have to pay me any more. Which is fine, but if this is the case you have to be prepared to help if you are moving more than you have allowed booked time for. In addition, please note that the van was packed professionally and the goods transported so there was no damage. I guess this review is upsetting because I started working half an hour before time; took the risk of incurring a penalty charge notice and did not get paid for the additional stairs, yet somehow I'm still to blame. The Turtles are survived tooo :D Thank You!!!!! Great service - worked fast and finished on time - great job! The job was done to our satisfaction. Used van for moving equipment to a school. everyone has to sign in with full names and photos for safeguarding/child protection reasons. There was some difficulty to comply with this and the driver told me they could just leave us with the equipment, despite having booked the van for 2 hours (they had only been working for 30 mins on this job). After reminding him that I have booked them for 2 hours, he conceded. John and the driver were kind and efficient! I would strongly recommend them! Didn’t have to life a finger, they carried everything a took care of each item. The team were brilliant - friendly, punctual, and extremely diligent. They made our house move very easy and I cannot recommend them highly enough. George was great. Really helpful and extremely hard working. Highly recommend! Absolutely excellent service. Very short notice booking handled really well. Extremely polite and helpful. Definitely recommend. It was an absolutely brilliant, first class service. They made a potentially very stressful day incredibly easy! Thanks very much! We had a change of driver & vehicle that we wouldn't have selected otherwise. They were over an hour late and spoke very little English which made communication very hard. very efficient service, the 2 of them packed and unpacked quickly. 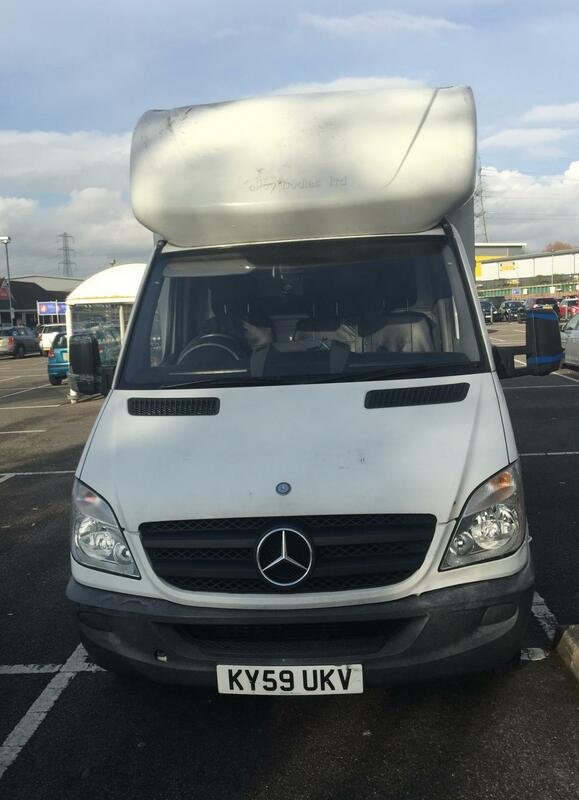 I booked van with driver and two assistance to help me move from London to Kent. All three guys were absolutely amazing. They were on time and very understanding of what I needed. I definitely recommend them. 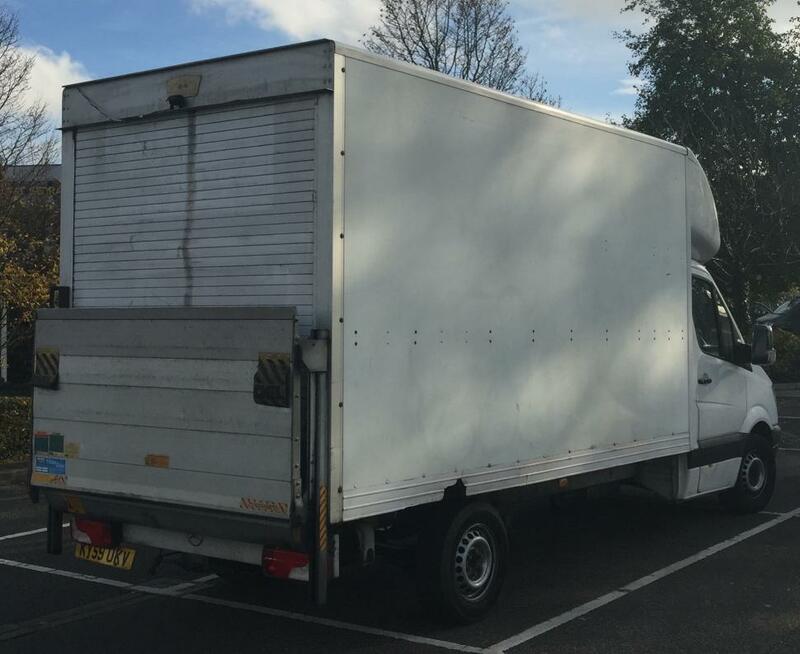 As this was a 'no help required' booking, the driver would not be expected to assist with the move and would just drive for you. Very friendly and hard working guys! My furniture and boxes are well looked after. Book them! Really fun and helpful driver! The drive passed quickly and was quite fun! The driver was very helpful and carried everything with professionalism and respect. For sure, I will contract your services again in case of moving. Many thanks! Greg was an absolute Gentleman and took care of all our items like it was his own. He turned up bang on time, was friendly, helpful, polite and a good laugh. I will definitely use him again and also have recommended him to all my friends and family. Gregory was a complete treat! Very relaxed and friendly manner, hugely respectful towards the items being moved and laden with frog fables. He helped make this move an enjoyable experience. The two guys that moved us were absolutely fantastic. Nothing was too much trouble for them, and they took great care when handling our possessions. Would definitely recommend.